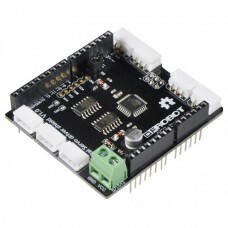 The Smart Servo Shield allows your Arduino to communicate with a network of Dynamixel AX/MX compatible smart robot servos. Dynamixel smart servo actuators operate over a serial network that supports a large number of interconnected servos. 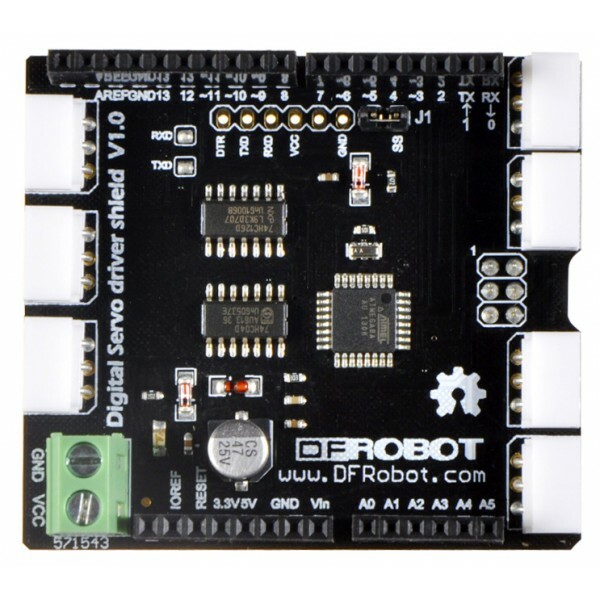 Each Dynamixel or compatible servo provides a rich command set that can be used to control its rotational mode, speed and position. Commands can also be used to query various properties such as the current position, motor temperature and velocity. This shield allows your Arduino or compatible microcontroller to communicate with the Dynamixel AX and MX series intelligent servos. It provides seven Dynamixel AX/MX series servo bus channels. Each channel supports daisy chaining multiple servos together to create a large network of accessible smart servos. Each smart servo is identified by a unique network node ID allowing multiple servos to be controlled by a single Arduino SPI port. 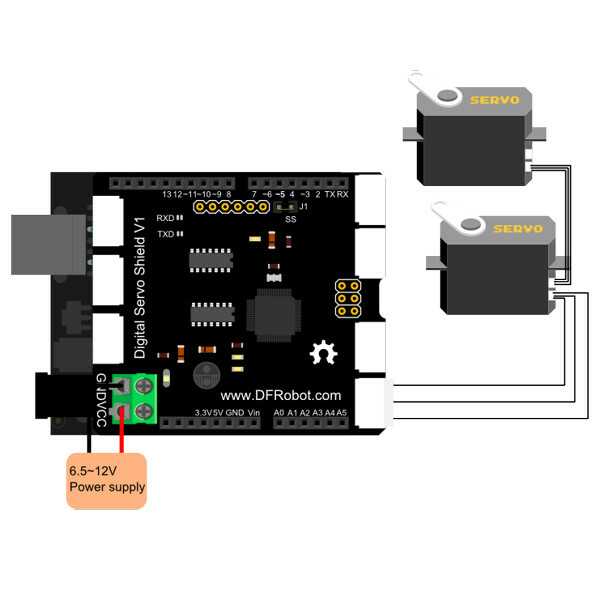 A separate 6.5-12V servo power supply input is provided. This shield contains its own dedicated ATmega8 microcontroller to simplify operations. 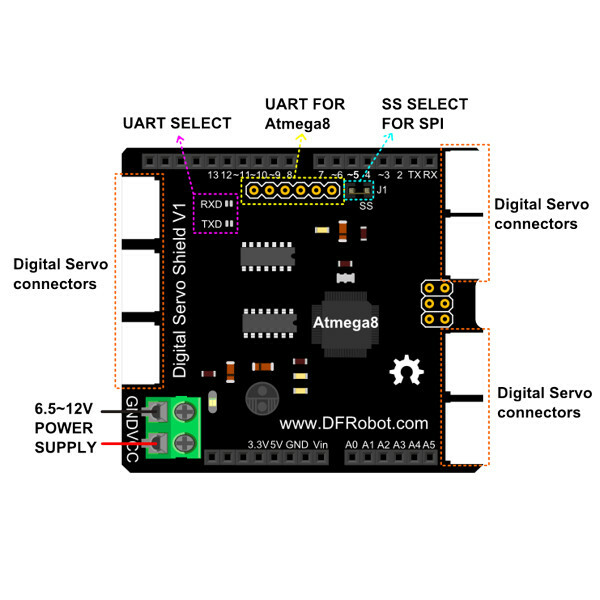 Advanced users can reprogram the ATmega8 using an onboard FTDI serial interface. An Arduino library is available to simplify programming. Controlling Dynamixel servo actuators from your Arduino has never been easier!